The DIN 928 square weld nut is a non-piloted square nut with four uniform projections. The square weld nut is easily fixtured for rapid welding by a locator pin in the electrode. Manufactured to DIN 928 Specifications. There are various types for different applications. 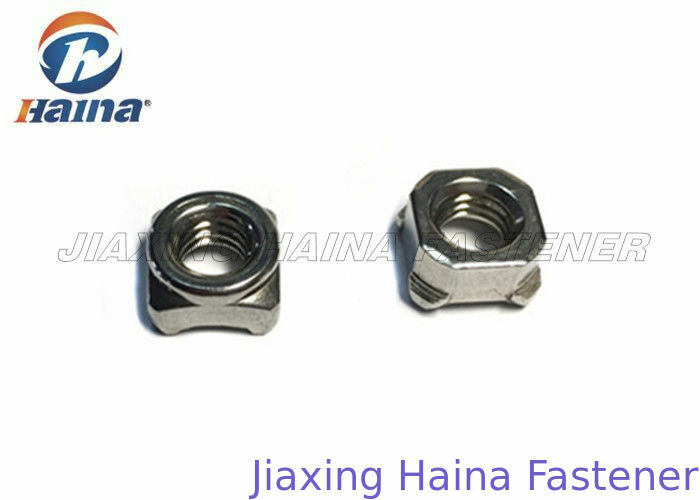 These nuts are very similar to standard square or hex nuts, but have four welding projections. Used automotive chassis and steel structures and beams. Square weld nuts feature four precision weld projections located on four angles. This design allows the fastener attached to the top side of the panel. Four equally spaced projections have the same height and size, allowing a proper balance and positioning of the weld. 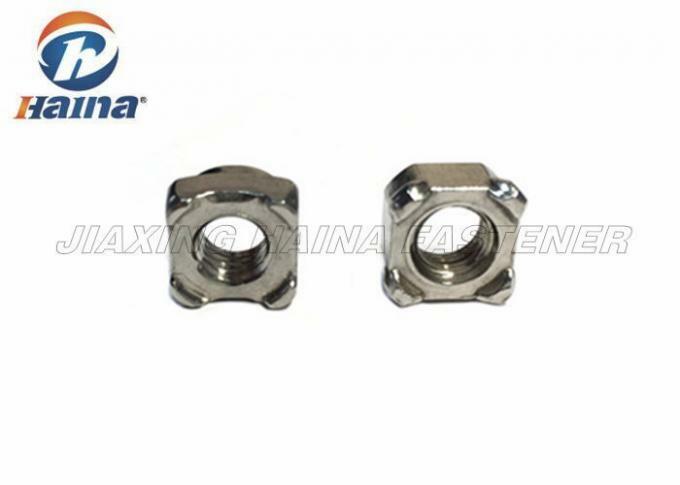 Square weld nut is designed for through-hole applications and are not self-positioning, so the need for additional installation or jigging dowel precise location. There is a resistance welding current and pressure are used to bond two pieces of metal approach. Resistance welding force required bonding process. Pressure is used to hold together two pieces of metal, and they are cooled. This also allows for proper metal bonded together. For the joining process required pressure is usually applied manually by the operator or by the machine. 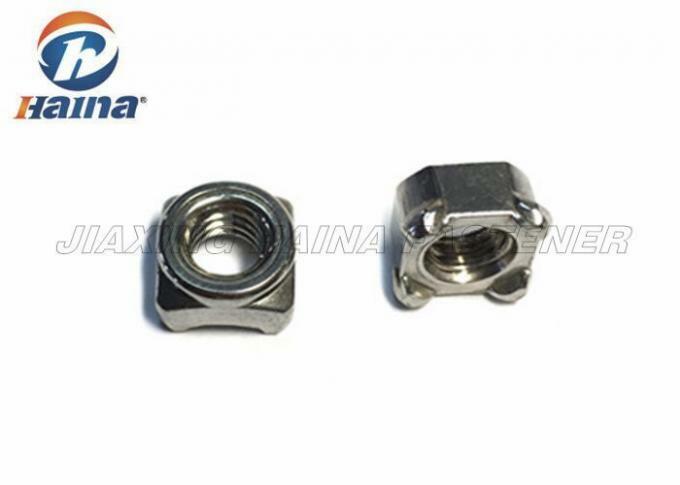 There are a series of square weld nut thread size, from steel and stainless steel offer, and is suitable for use with compatible panel material. Square weld nut requires appropriate resistance welding equipment accessories. Square weld nut requires appropriate resistance welding equipment accessories. General Fastening applications where need high strength and superior corrosion resistance. For the joining process required pressure is usually applied manually by the operator or by the machine. Square weld nut is designed for through-hole applications and are not self-positioning, so the need for additional installation or jigging dowel precise location. Common chioce for fastening, which provide high tensile, offering high holding power and corrosion resistance and don't need any coating. Competitive prices with professional factory supply. Perfect fastening solution with 10 years experiences to solve your problem: Wide range of parts selection. Durability testing and critical technical design to enhance fasteners lifetime.